Next class is THIS Saturday, April 20, and continues on May 4 and May 18, 2019. Join Leigh Wunce N.C. as she shares deep teachings in three more classes in this series to find your best health at every age. Pythagoras, a mystic and philosopher believed all things are numbers. We will explore how just your birth date carries a vibration for your life purpose and the qualities of your emotional being. Your life story is set to the Cosmic Dance. We will approach astrology in a simple way to show how powerfully the planetary movements relate to your every day well-being. Our thoughts create our reality. In this class we will learn how homeopathy, affirmations and the right supplements can bring balance in times chaos in our lives. Leigh Wunce is a medical intuitive and certified nutritionist who works with kinesiology and the human energy systems to promote heart-mind healing at a core level. Practicing in Santa Cruz and Los Gatos for 26 years, Leigh has been passionate about teaching the art of soul healing utilizing astrology and numerology. She has taught many classes and lectured extensively as well as doing numerous radio interviews. 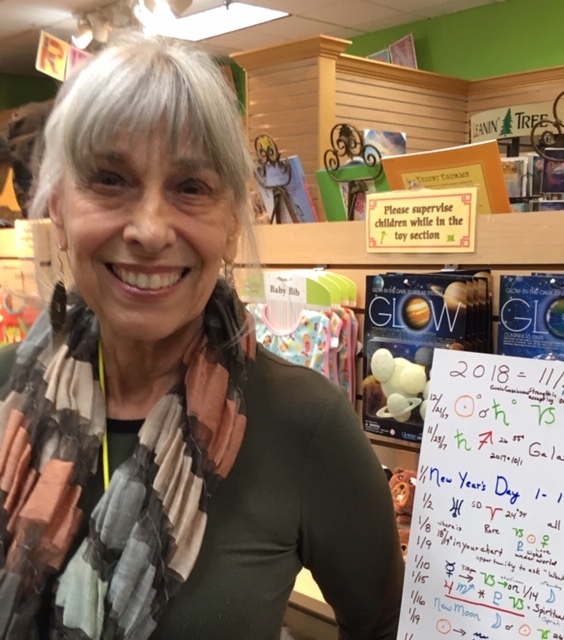 For the last eight years Leigh has conducted readings and lectures at the former Way of Life store in Capitola, and offered monthly classes at Gateways for 5 years prior to its closing. Visit yourbodywisdom.com to learn more.